On Thursday, 14 May 1914, MAE WEST left her husband Frank Wallace, according to his calculations. This is most doubtful since Mae was happily married to her second husband Guido Deiro in 1914. Together they were touring in vaudeville. But let's investigate this hogwash. • • Los Angeles, May 3 — Whether Mae West, of the films, ever was married to Frank Wallace was a question revived today by a suit filed in superior court here. • • Wallace, giving his address as New York City, petitioned the California courts to help establish the validity of the marriage he asserted he contracted with the glamorous Mae before the days of her screen triumphs. He fixed the date of the purported ceremony as April 11th, 1911, and the place as Milwaukee. He also asked the court to define the rights of each party to the alleged nuptials. • • It was Frank Wallace’s second legal attempt to make good his claim that he is the “unwanted husband” of the picture star, a claim which Miss West has repeatedly and strouty denied. • • Process servers were preparing for determined pursuit of the breezy actress to serve with papers in the new suit either in Hollywood, Los Angeles or on her newly-acquired ranch. • • Source: Madera Tribune; published on Monday, 3 May 1937. • • Blonde bombshell Jayne Mansfield encountered the very handsome Mr. Universe 1956 Miklos (Mickey) Hargitay on 13 May 1956, while attending a performance of the "Mae West Revue" at the Latin Quarter night club in Manhattan. • • Twenty months later, Jayne Mansfield and Mickey Hargitay wed on 13 January 1958. They had three children and, alas, would divorce in 1964. • • Mae West posed with Gary Cooper in a tavern to celebrate the repeal of Prohibition in December 1933. They socialized at several Tinseltown tete-a-tetes, too. However, on Saturday, 13 May 1961, the "Coop" lost his battle with cancer. A sad anniversary. 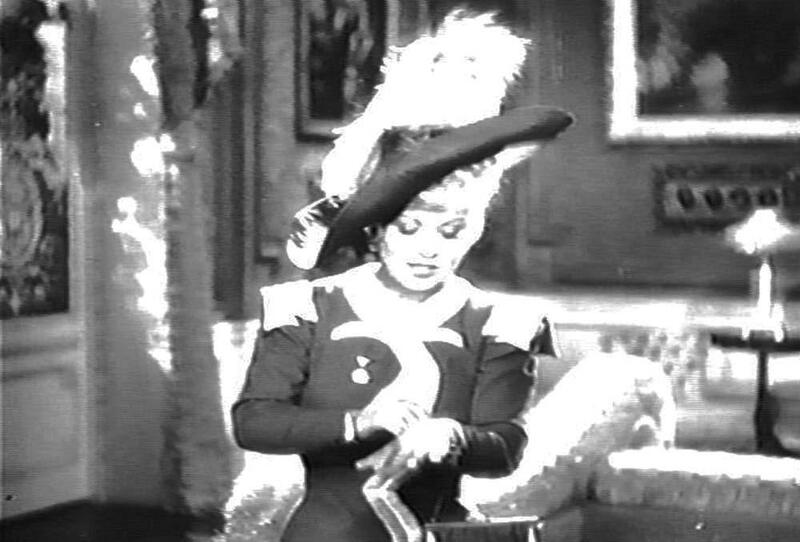 • • If you are wondering what Alice Faye looks like, I can best describe her as being like a young Mae West. • • Mae West said: "Well, they've sued me for everything else." • • Cornell University's energetic Spring Day Committee, frothing a bit at the mouth and muttering something that sounded suspiciously like "Hell, Vandevanler," stealthily entered a telephone office yesterday and secretly sent the following message to the chairman of the Motion Picture Craftsmen, after making sure that every newspaper in town had a copy of it. • • CORNELL U HAS ALWAYS BEEN FRIEND OF LABOR STOP HOWEVER IF STRIKE IS NOT ENDED IMMEDIATELY SO HOLLYWOOD . . .
• • The Mae West Blog was started ten years ago in July 2004. You are reading the 3441st blog post. Unlike many blogs, which draw upon reprinted content from a newspaper or a magazine and/ or summaries, links, or photos, the mainstay of this blog is its fresh material focused on the life and career of Mae West, herself an American original.